This category includes entertaining games like the Zuma Deluxe video game developed by PopCap Games. Basically, these games consist of forming pairs of at least three balls (or other objects) of the same type before they reach the base. Fire Zuma balls out of a cannon. Earn points to unlock new areas of the game. Bear Zuma - ,You have to stop the balls approaching on spiral to a bear. Bongo Balls - Play with a monkey and balls to defend an island. Lucky Balls - Form pairs of at least 3 balls of the same color. Math Lines - Mathematical logi, balls with numbers and Zuma in the same game. Pinboliada Zuma - Another version of the Zuma type Games. Svetlograd Zuma - Defend a green zone from some colorful hedgehogs. Zuma Deluxe - Flash version of the Zuma Deluxe, developed by PopCap in 2003. Zuma Honey - Stop the balls before they reach the honey pot. Zuma People - Form groups of at least 3 people with the same clothing color. Zuma Restaurant - Form groups of at least 3 identical plates with restaurant food. Crab And Pearl - A crab playing with beads that move on the sand. Pearls For Pigs - Stop pearls of the pigs to reach the mouth of the wolf. 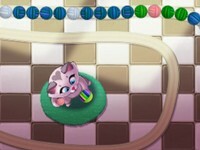 Zuma Kangaroo - Lots of challenging levels in which the Kangaroo Zuma must stop balls that roll to his house. Mystic India Pop - With an Indian elephant, remove the balls forming at least three balls of the same color. Birds Town - Zuma with birds in a beautiful image and interesting effects. Inca Ball - Similar to Zuma Deluxe Luxor Egypt. Try to see. Mouse Chain - Stop the chain of colored mice before they reach the cheese. Funny Animals 2 - Zuma Game with smiling wildlife; I think they laugh of themself. Number Lines - Release the balls in the chain, which make the sum of 10. Jungle Marbles - Lots of balls, and helpful effects to get rid of them. Shoot the ball to match 3 of the same type. Totem Balls - A different kind of game like Zuma. 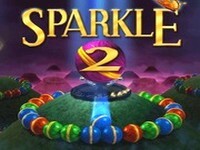 In this game your aim is to hit red balls and to collect as much stars as you can. Totem Balls 2 - A mix between Pinball and Zuma. Hit all the red balls and collect as much stars as you can.